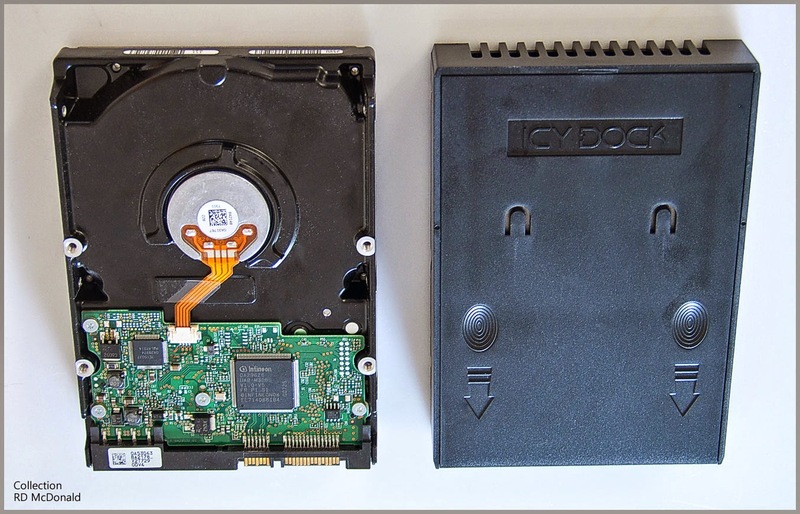 • "C" drive, home of the Windows 7 Operating System and application programs, has been switched from a Western Digital platter drive, to a Crucial Solid State Drive, or SSD. 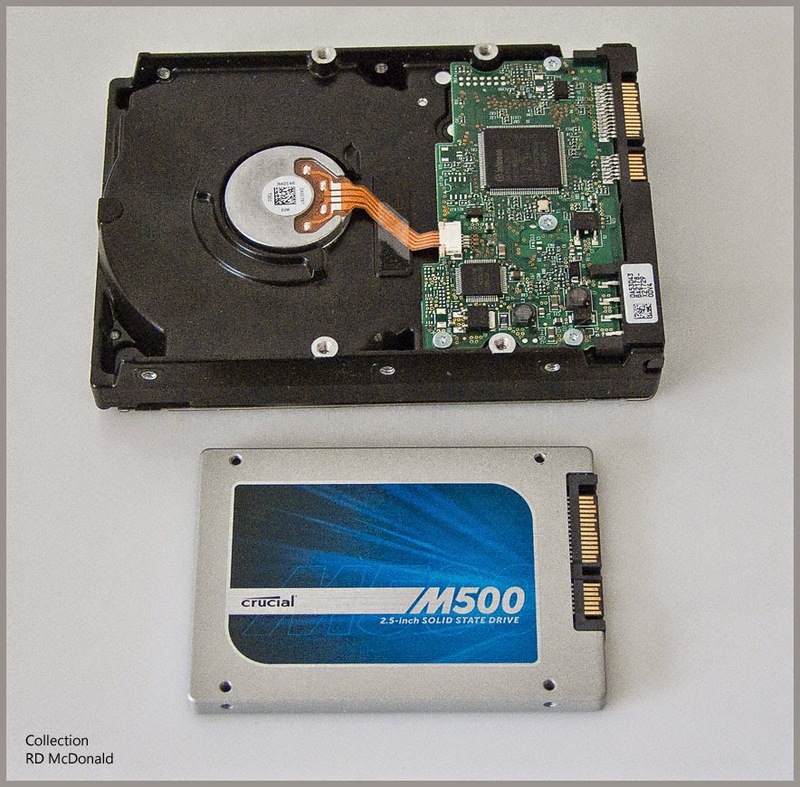 • "D" drive, home of all files and documents, remains under the control of a Western Digital Caviar Black 500 GB platter drive. 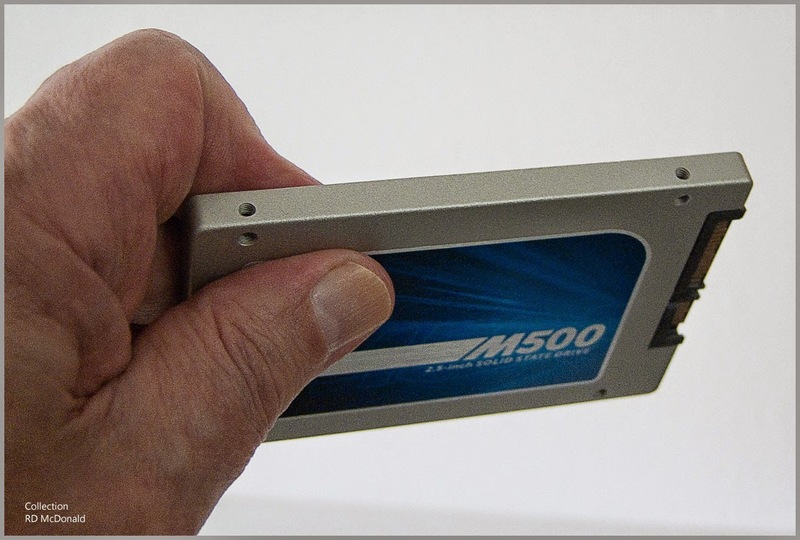 Solid State Drives (SSD) have been around since 2008, when Intel released its US$600, 80 GB X25-M SSD. 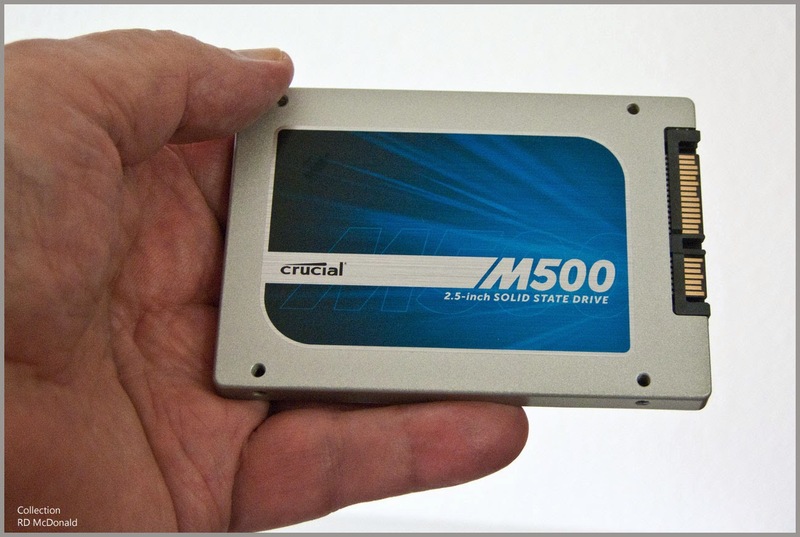 While several manufacturers offer SSD's, I opted to go with Crucial. 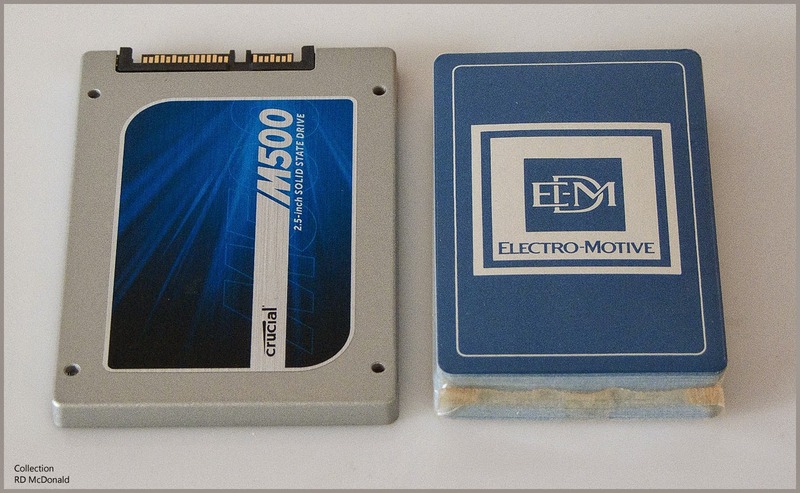 Crucial's parent, Micron Technology offers not only access to engineers who have been a leader in solid-state memory for many years, but also the pick of the crop when selecting NAND's for solid-state memory storage. 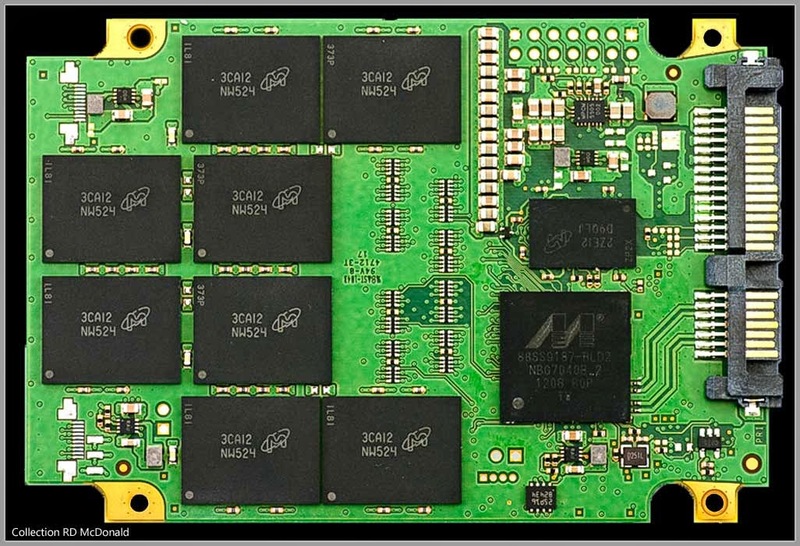 And, if you really want to look deeper under the hood, this document describes the self-monitoring, analysis, and reporting technology (SMART) feature set available for the Micron M500 SSD. This is why I installed the Crucial M-500 240MB Solid State Drive. The second reason I selected Crucial is because they offer an installation kit that includes Acronis software, required for migrating data from the platen drive to the Solid State Drive. It's an migration system optimized to the Crucial SSD. This was important for me, following a disaster several years ago when I updated my "factory" hard drives to Western Digital. 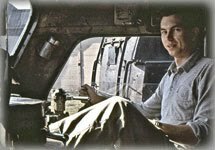 In the process, I misunderstood terminology; 11 hours later, I lost all my files and documentation for the first three years of Oil-Electric, not to mention all my personal data, including photos and videos. Acronis was the software involved in that disaster. And so it was with a great deal of fear and trembling, that I approached this chore. I must say, I am pleased to report Acronis has done a remarkable task of redesigning the migration software, in plain English, great graphics, and fail-safe warning, that I was completely successful! The next step was installing the SSD. 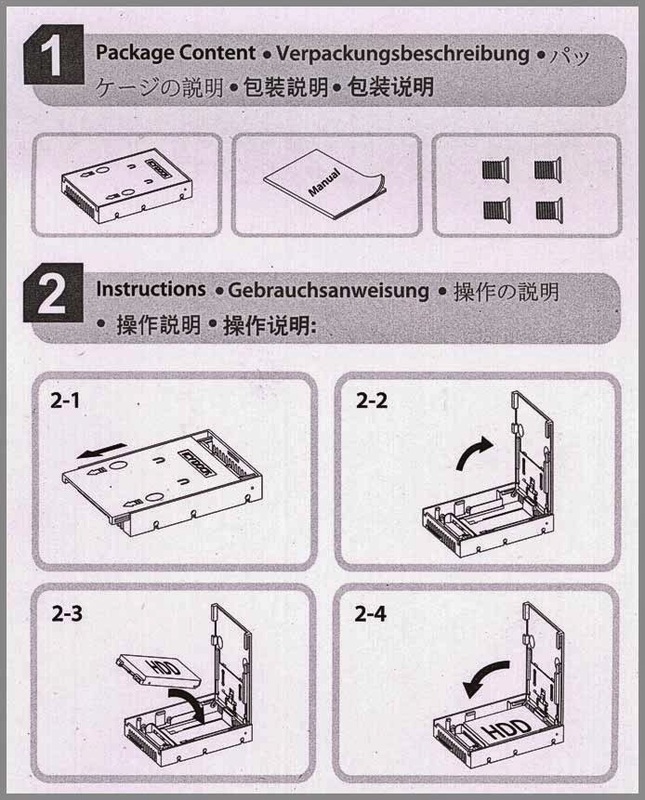 Obviously it requires an adapter to fit the 3½" form factor. Mounting the drive turned into an interesting adventure; the plate included with the drive was totally incompatible with my drive bay. I was directed by Crucial tekkies to this adapter made by Icy Dock. Installation was literally a snap. The second part of the upgrade was replacing the operating system from Windows XP Pro to Windows 7 Home Operating System (OS). Years ago, I went kicking and screaming from Windows NT to XP Pro, with brief encounters with Windows Millennium and Windows Vista. I considered NT to be the best and most stable OS Microsoft had published since Windows 3 point nothing! I spent hours reading the pros and cons about switching from XP Pro to Windows 8, rather than 7. Windows 7 is a permutation of the bloated and confused Windows Vista. Windows 8 is all about touch screen technology and new computers. I have no reason to purchase a new computer. I have no interest in gimmicky "touch screen" technology. And have no interest in computing in a cloud. I've spent just about enough making Bill Gates and Paul Allen who they are today. So I chose Windows 7 Home Premium. This OS is an extension of Windows Vista, which was an overbearing bloated system, staking out vast territory on the hard drive and devouring system resources to present transparent buttons and other jejune special effects. I am about efficiency and production; graphics, photo manipulation and wordsmithing. The next step in my system upgrade was to replace mismatched memory modules. As I look back, cost was the overwhelming factor in not correctly matching my 4GB memory. But as with the Solid State Drives, memory is much cheaper than 4 or 5 years ago. 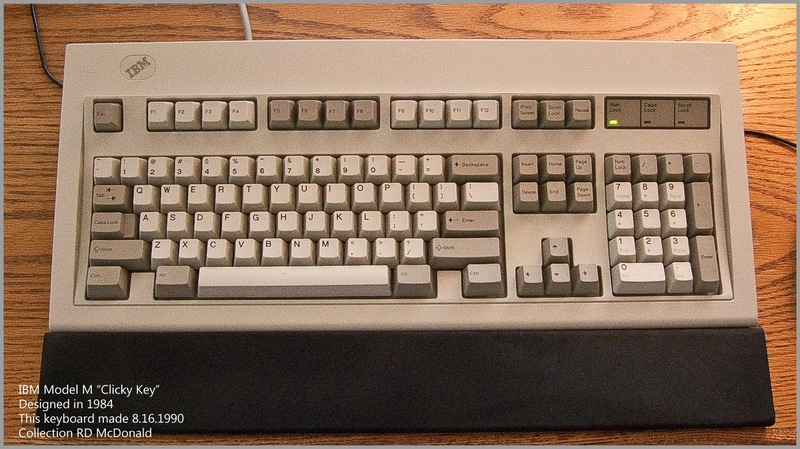 Finally, and almost fatally, I decided to spring clean my IBM Model M keyboard. I described my IBM Model M some years ago. Accessing the innards of the keyboard revealed a disgusting accumulation of dandruff, eyelashes, hair, crumbs, and other ethereal material! With this keyboard, the first step is the removal of key caps. But sometimes the cap and the key come off, revealing the ingenious spring technology, which made the IBM "clicky-key" keyboard revered by typists and data entry personnel for many years. They key caps were soaked in a solution of dish washing soap, whilst the plastic body and shell were scrubbed down. Without elaborating; make sure you have a diagram of key placement BEFORE you begin this adventure! 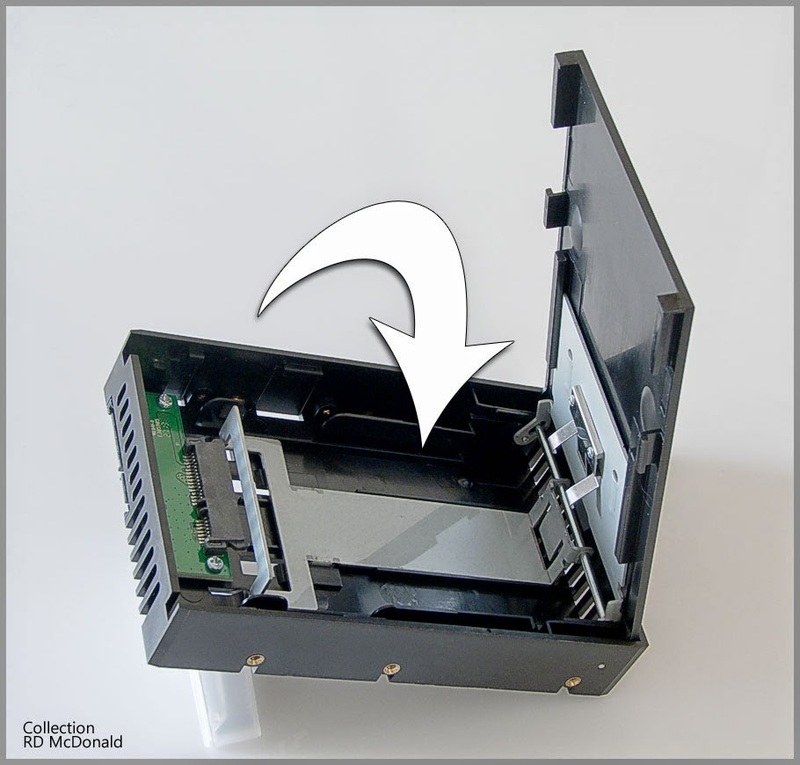 • Replacement of "C" Drive platter drive with a Solid State Drive. • Upgrading OS from Windows XP to Windows 7.0 Home. • Dismantling and cleaning of IBM Model M keyboard. Net-net-net bottom line. Startling speed with which computer boots and Windows installs. Lightning response when working with PhotoShop Elements 10. And enhanced response of my "clicky-key" keyboard, which remains the benchmark for keyboard input technology. I figure if this septuagenarian can handle this upgrade, anyone can!